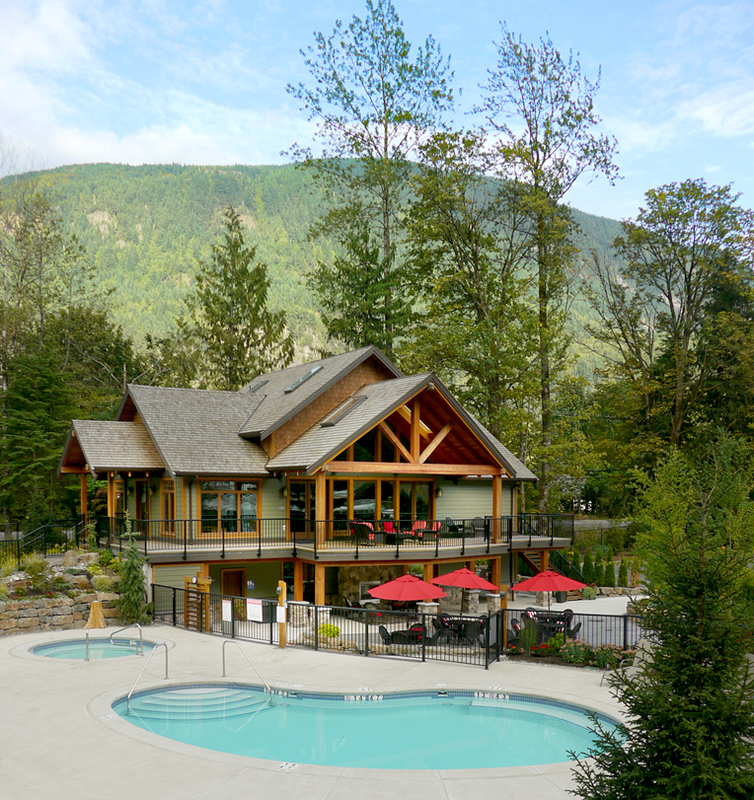 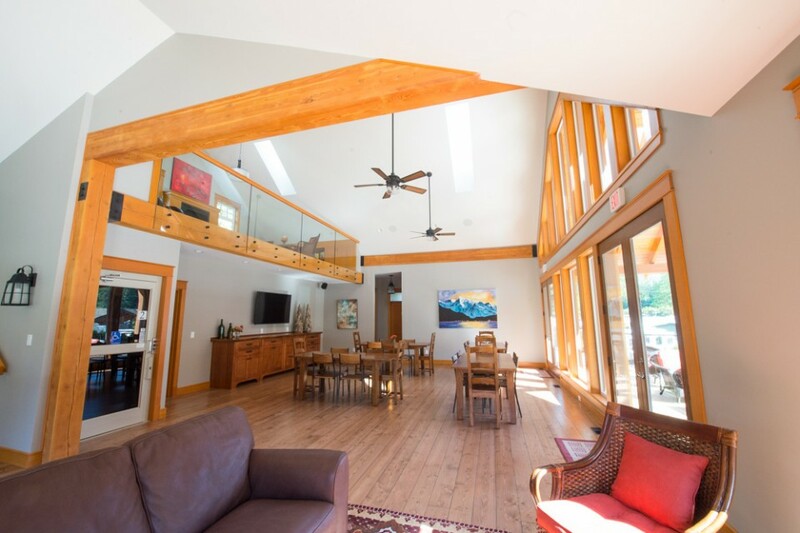 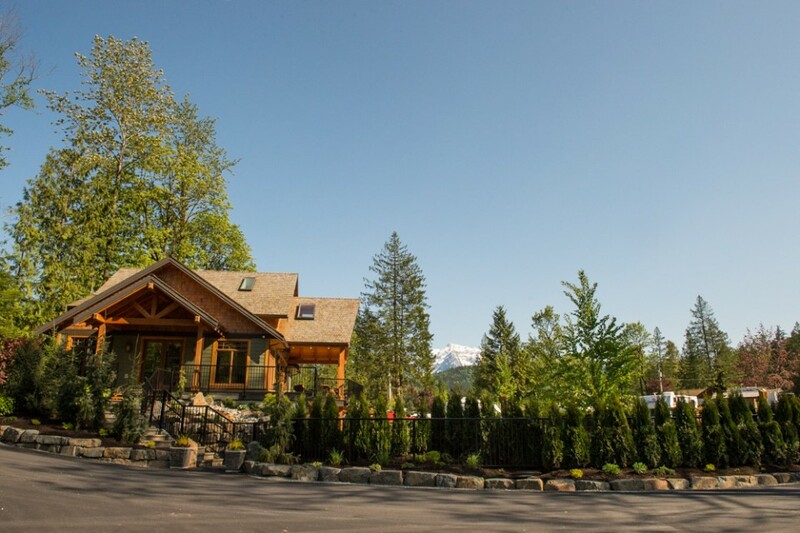 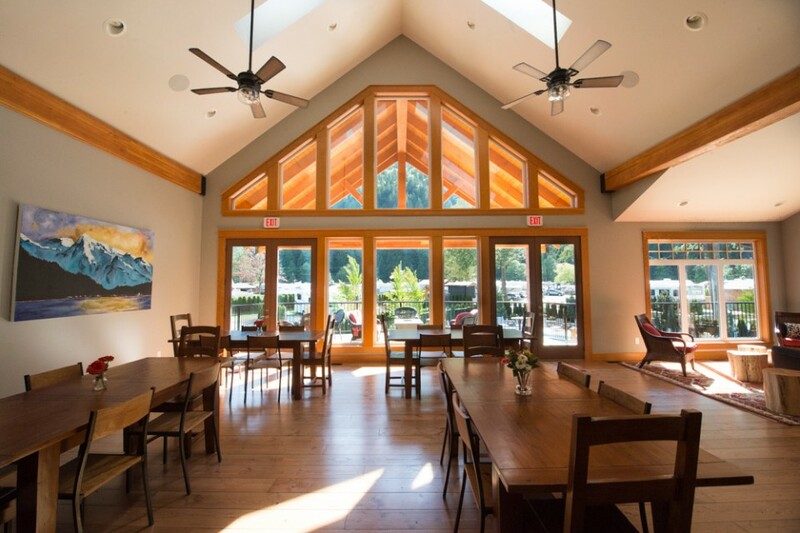 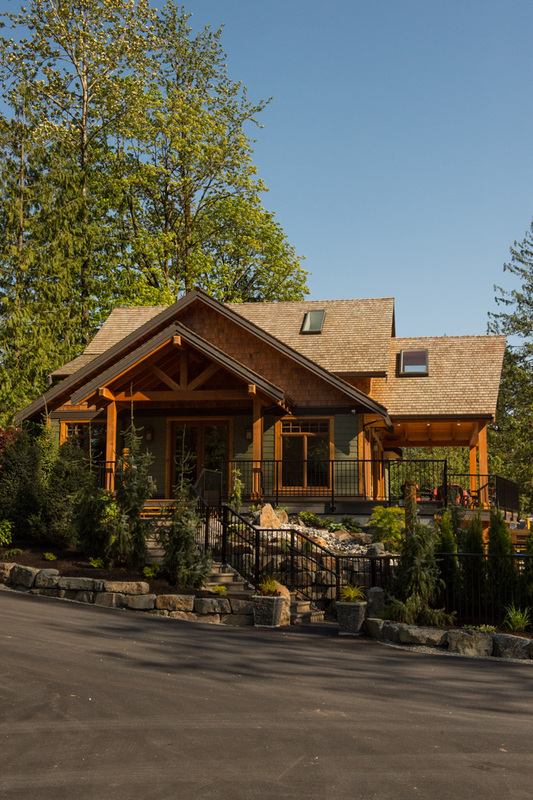 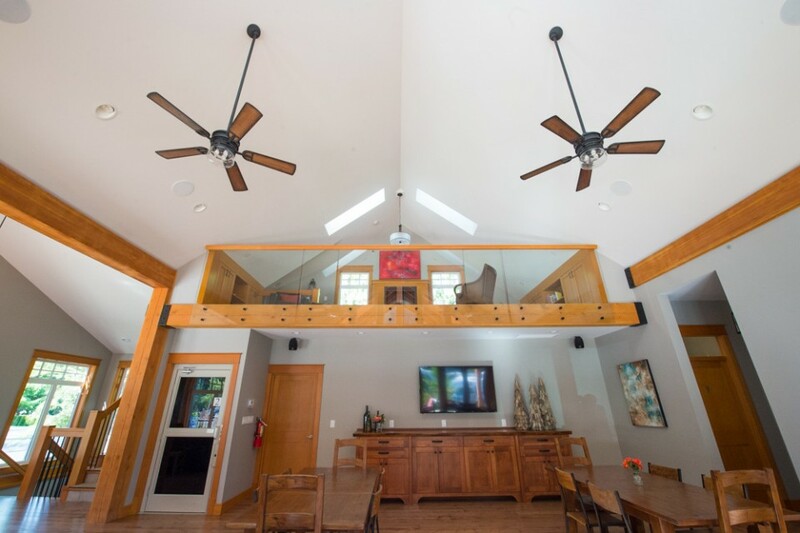 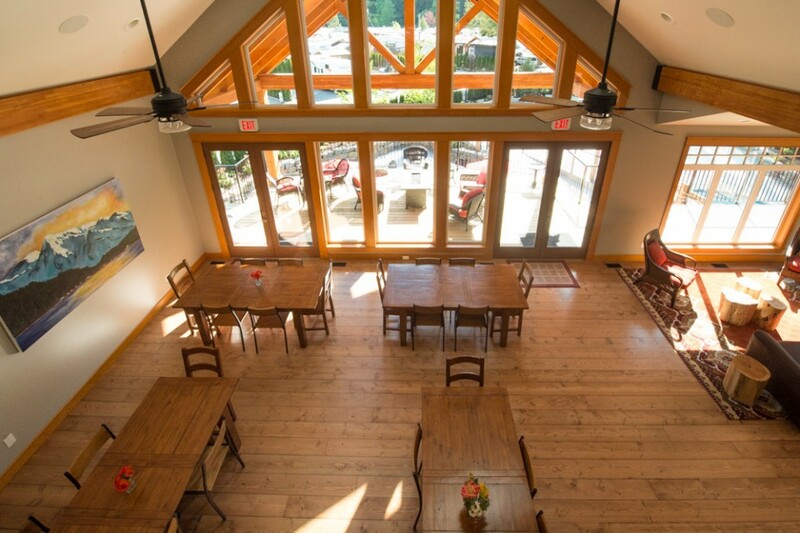 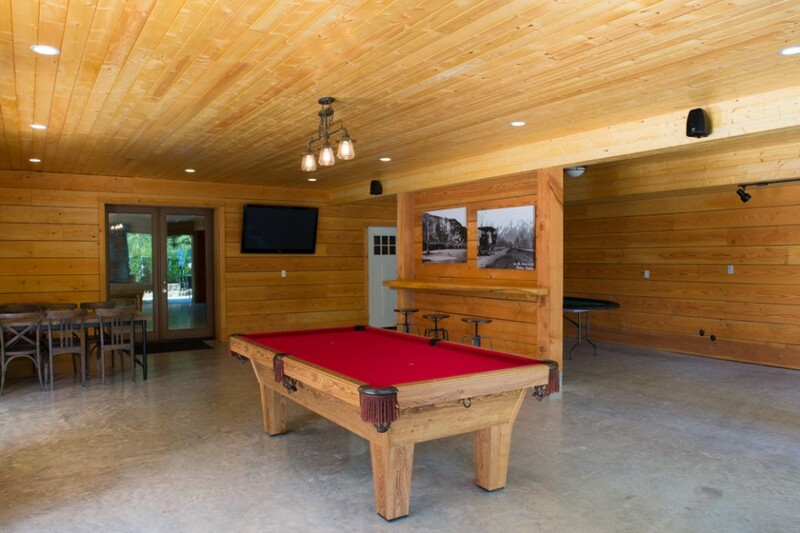 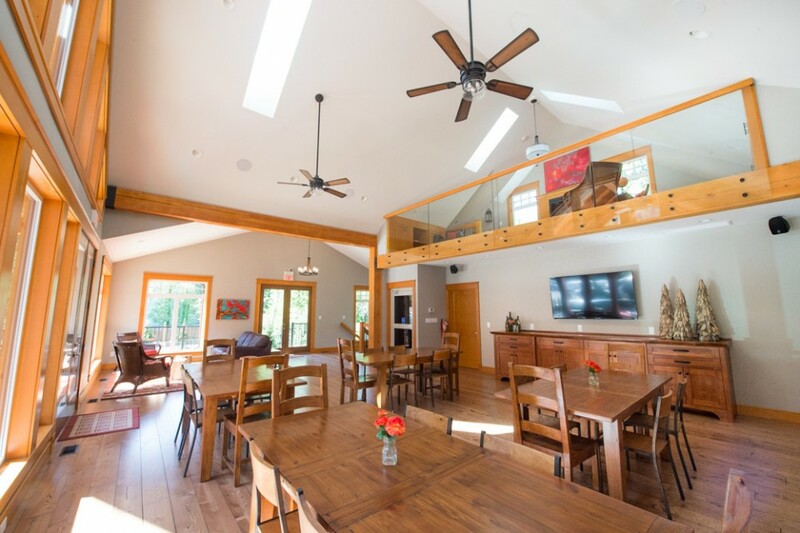 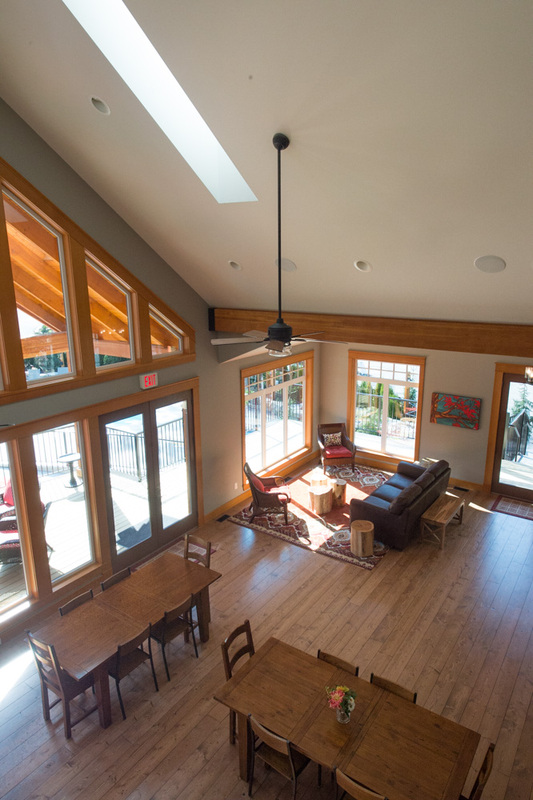 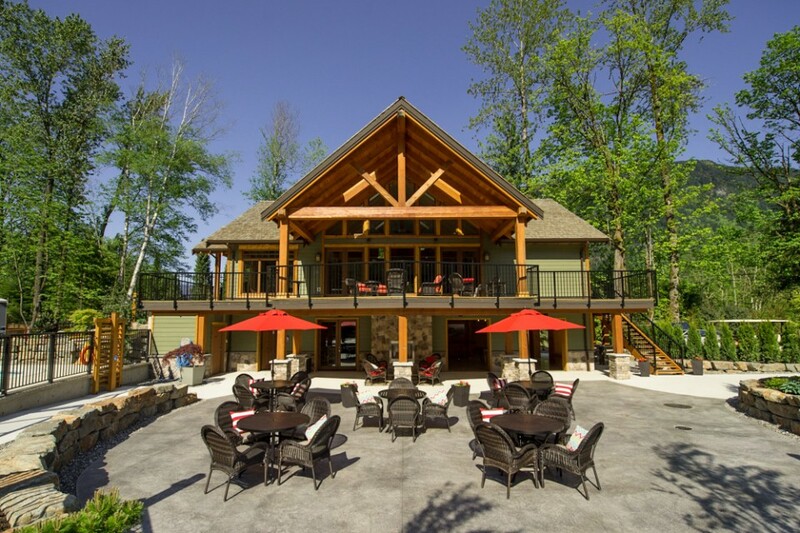 This timber frame community building for a luxury RV retreat features two large and open common areas for relaxing as well as loft area with fireplace. 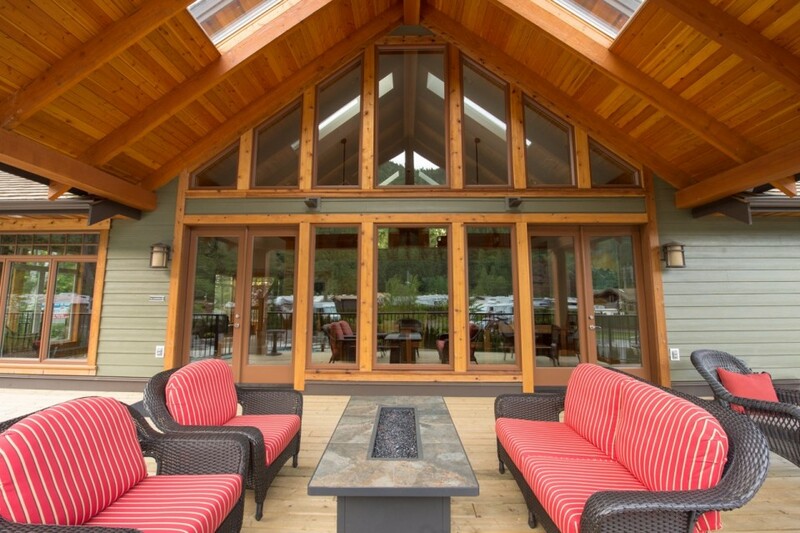 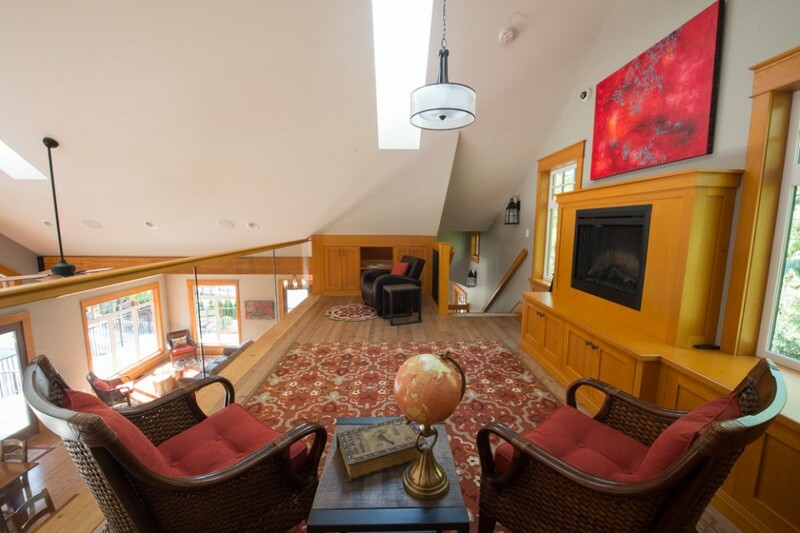 The main floor boasts an expansive covered deck with an equally spacious covered patio below. 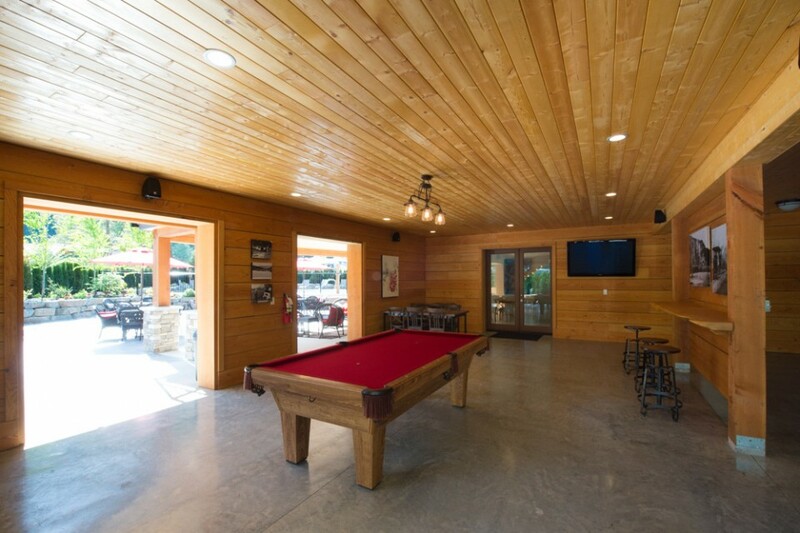 The basement offers a small kitchen with nano wall that allows for outdoor access and seating.